Man Killed By Minivan Was A Restaurant Worker With Two Kids | Schuler, Halvorson, Weisser, Zoeller & Overbeck P.A. 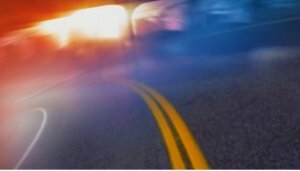 A man was killed when a minivan jumped a curb in Hobe Sound while its driver was trying to parallel-park. He was a married father of two who worked at a Martin County restaurant near his home, a devastated neighbor said. The 53-year old said he had seen the victim earlier the day before he became one of seven people to be mowed down at Stuart and North Shores when a 70-year old was trying to park a 2015 Toyota Sienna. The 70-year old was moving in reverse on Stuart when he lost control of the vehicle and mounted a curb, striking the pedestrians, police said. The deceased, a Delray Beach resident, was pronounced dead at the scene. Two other victims were critically injured and taken to Boulevard Hospital. The 70-year old driver was released from police custody after being hit with multiple charges including failure to yield to pedestrians, failure to exercise due care and unsafe backing of vehicle. The deceased, according to FHP, was a native of a town in China and arrived in the US years ago and worked to bring his family here.